Like most oil-based recipe, this cake recipe is as easy as it comes. Quickly sift all the dry ingredients into one bowl, and all the wet ones in a jug. You’ll mix them up separately, then mix them all together. 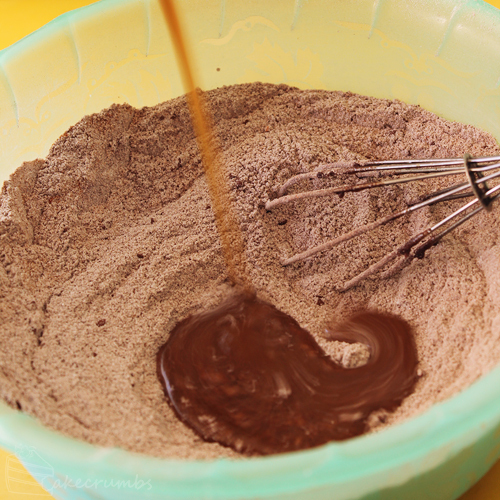 Your batter should be chocolaty and thick with no lumps remaining, then it’s ready to pour into a tin and bake! 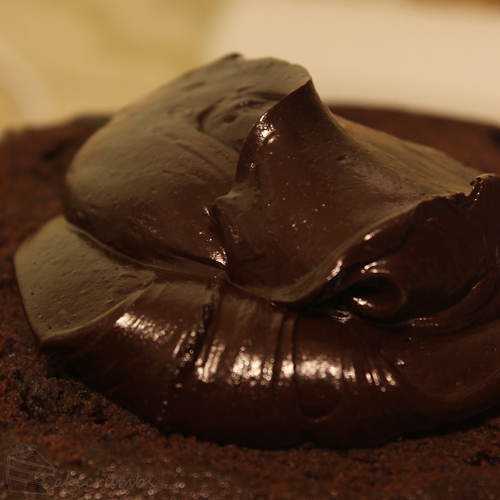 I often default to ganache when making vegan cakes, but I hadn’t tried doing a whipped chocolate ganache yet. I always substitute coconut cream in when I need to whip the cream, so figured it would work the same way in the ganache. I use cans of pure coconut cream and they always work for whipping, but if the can you have has water added to it you will need to let the can sit in the fridge overnight first. 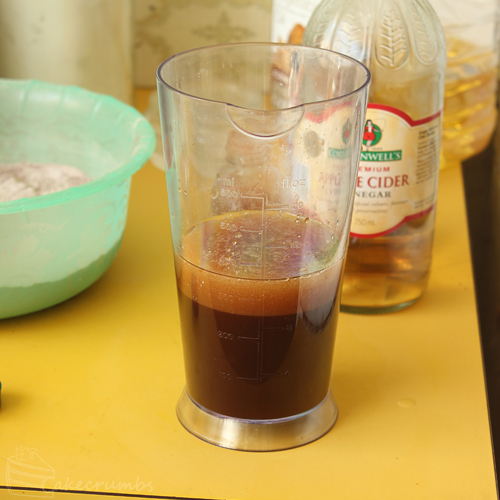 The cream and water will separate into two layers and you can pour off the cream first. 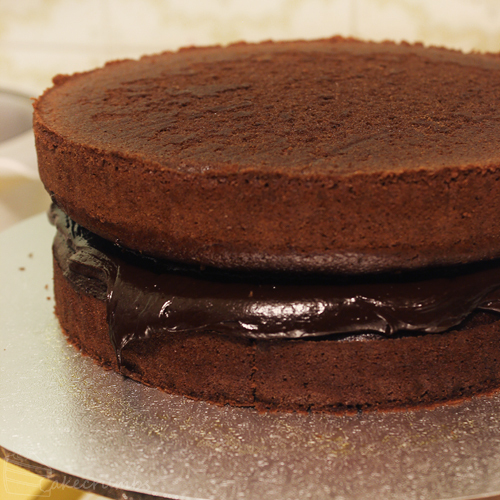 I baked two batches of cake and also double the amount of ganache so I could use it as the filling as well. Then I covered the whole lot with ganache and left it to set. 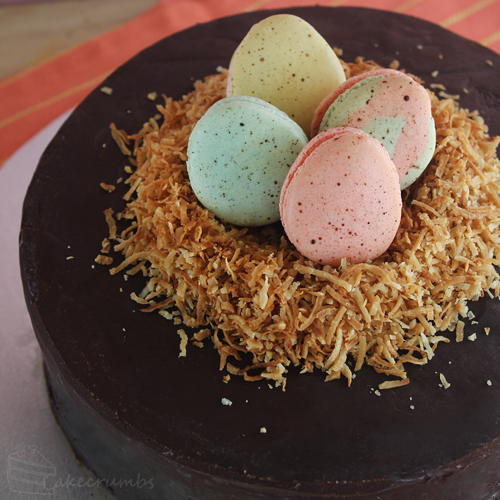 To keep in with the Easter theme, I made a nest from shredded coconut I quickly roasted in the oven. 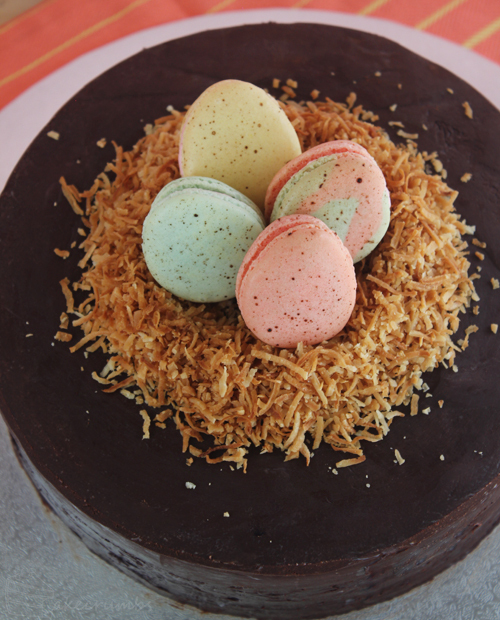 Then I topped them with the speckled egg macarons from last week. The macs, quite obviously, aren’t vegan — that’s something I’m yet to attempt to figure out. I only used a small amount of cayenne pepper, as some of the recipients aren’t overly keen on spicy food. If everyone eating the cake is, you can easily double it. 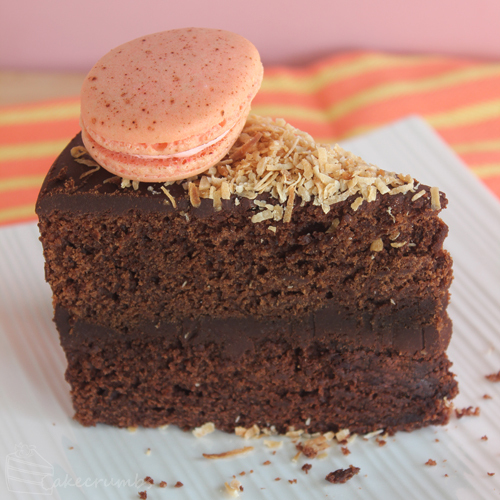 This recipe will make enough for a small cake with enough ganache to cover it. 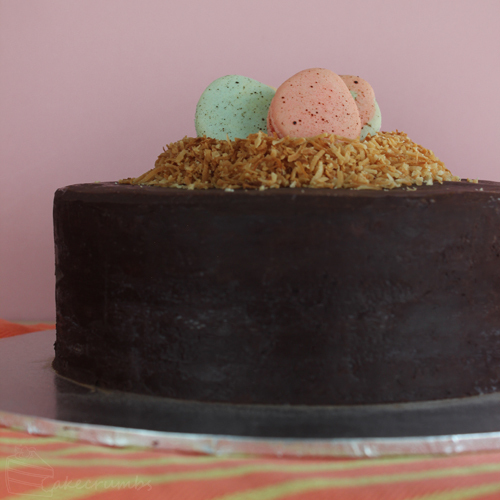 If you want a taller cake like I did, bake two of them and double the ganache recipe. Preheat oven to 180°C (160°C fan-forced/350°F). Grease or line a standard cake tin with baking paper. 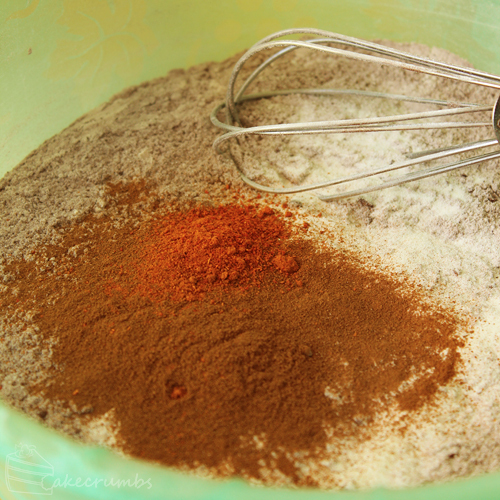 Sift all the dry ingredients into one bowl; combine all the wet ingredients into a separate jug. Make a well in the centre of the flour mixture, pour the wet ingredients in and stir until the batter is thick and well combined. Immediately pour into cake tin; bake for 30-35 minutes. Place the chocolate in a medium sized bowl; heat the cream in a small saucepan until it just reaches boiling point then pour over the chocolate. 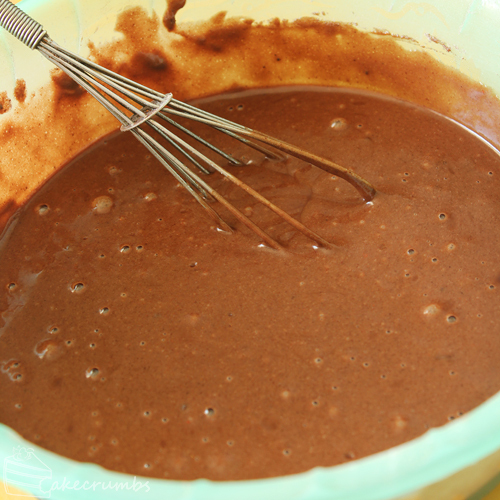 Allow to stand for 2 minutes, then stir until chocolate has melted. Allow to cool to room temperature, then beat with electric beaters until ganache reaches soft peak stage. Immediately spread over the cake. Definitely as simple as it gets! Definitely! That’s one holiday celebration that hasn’t really gained wings over here yet. You may have just saved this mother’s reputation! My vegan daughter’s birthday is today and as I’m not yet up to speed on vegan recipes, so I’m hoping your Mexican chocolate cake does the trick! Thank you! The Mexican one is very rich and mud cake like, the other one is more on the fluffy side (I use that other one all time time, for vegan and non-vegan recipient cakes). Both are the same method and crazy simple to make. This looks perfect for a birthday cake! I’m just interested in where you got your cake recipe from. It’s really similar to mine… I’d like to know why your recipe has half the flour that my recipe has, when the only other real difference between the two is the dissolved coffee. How does it affect the texture of the cake? It’s based off of a another choc mudcake recipe I have, I just added in the cinnamon and pepper and added the dissolved coffee to the water. I’d have to try it the other way to know for sure, but I imagine if there’s twice as much flour it’s probably not going to be as mud-cakey (total technical term there). Perhaps it will rise more and be fluffier. It’s definitely very rich! I needed a very small slice. As far as what I’m used to, this cake is one of the quickest and easiest to make. The baking time is quite short as well.